A place to call home, is a goal for many we serve, so Touchstone has made basic needs, housing access and supports, an agency priority. 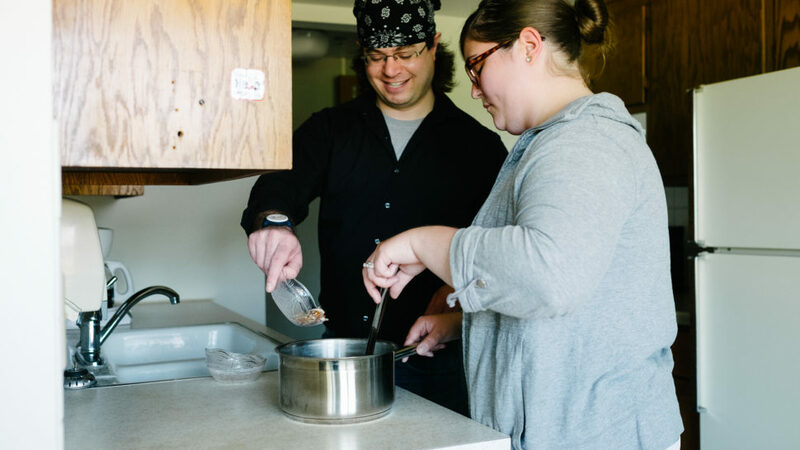 We recently were awarded several grants, so we can offer housing assistance and supports to more people, so they can live well in their community. Funding from the Mental Health Division will reach 130 people over the next two years to find housing and receive tenancy education and supports to sustain their housing. Disability Services Division will fund an expansion for the Housing Innovation Program, serving 55 people who need intensive in-home supports to keep their housing. The Richard Schulze Foundation is partnering with Touchstone by providing Basic Needs funds for people as they move into housing. “We have purchased medications, clothing, beds, and emergency food,” said Deb Hesli, Housing Services Director. “Our hot summer has been difficult for our clients who are older or have health conditions. We purchased several air conditioners to support their medical needs. We are grateful for the generosity of the Robert Schulze Foundation.